If you were thinking, "hey, what can I do today," then perhaps Saber Interactive can tempt you with some Spintires: MudRunner. The "hauling stuff through muddy terrain" simulator is getting some free DLC today with "The Ridge," and it's available on PC, PlayStation 4, and Xbox One. 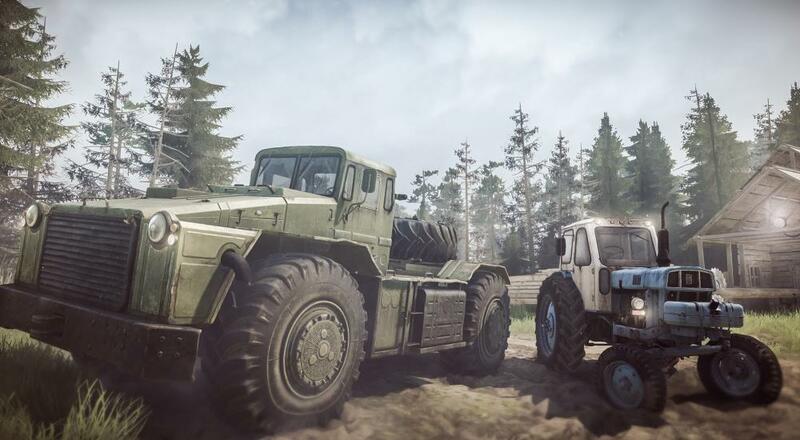 The DLC adds two new vehicles (the "heavy duty tractor" known as the D-538 and a lighter tractor, the B-6A) for you to use on any map, but you may want to take them for a spin in the brand new Ridge map. This area is a "coastal map split in half by a mountain ridge." (We have DLC title, people!) Finally, a new gameplay type is added with "Scavenging." Rather than getting your logs from one designated area, they're scattered across the map and you'll have to gather them up in order to complete your delivery. Spintires: MudRunner is available now on PC, PlayStation 4, and Xbox One. Four player online co-op is supported across a variety of missions and maps.